While involved in a writer’s discussion several weeks ago, the topic turned to music as inspiration for our writing. I was relieved to find out that I wasn’t alone in listening to music to help me get in the mood to write certain scenes. What I found fascinating was the wide range of musical tastes and genres preferred by the different writers. Some of their choices surprised me, but knowing their books, I could see the influence the songs brought into play. I started writing BARRON’S LAST STAND first to the soundtrack of artists like Great Big Sea, Dropkick Murphys, and Flogging Molly. SOVRAN’S PAWN was originally part of my backstory notes for what I’d planned as a stand alone novel ~ a last desperate bid at publication. From the first moments Bo Barron and Blade Devon strolled across my imagination, I’d always planned to tell their story as a series. After nearly 30 years, delays caused by personal crises and multiple rejections from agents and publishers, I was almost ready to give up. BARRON’S LAST STAND was in actuality what the title suggests. A submission call from an editor I admire and wanted to work with came out last October. BARRON’S LAST STAND was nowhere near completion, but I had enough of the backstory written to cobble together a novella. I toyed with the idea for weeks while continuing work on BARRON’S LAST STAND. It wasn’t until a spate of family tragedies hit that I turned to the goal of completing and submitting a novella to escape my own emotional turmoil. I needed a realistic challenge to regain a sense of control over my life and my situation. With apologies to BARRON’S LAST STAND, I set it aside and threw myself headlong into SOVRAN’S PAWN. It was about that same time that my husband took me to St. Augustine to see one of my favorite bands in concert supporting their new CD, released six months prior. 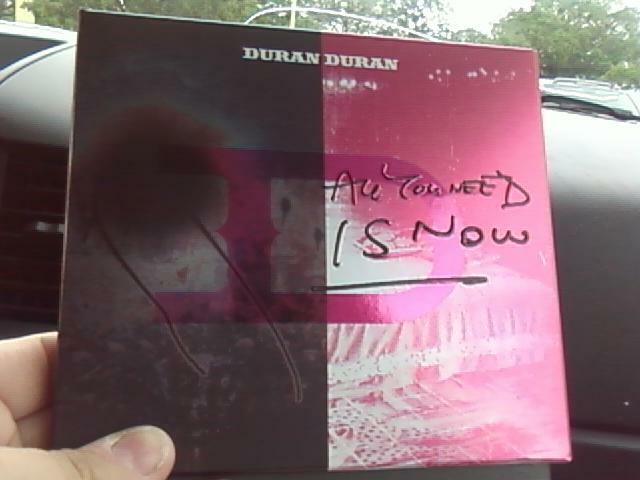 The band is Duran Duran and the CD they were supporting is ALL YOU NEED IS NOW. As the band who provided much of the soundtrack for my misspent youth, I’ve always found a measure of inspiration in their often obscure lyrics and their haunting melodies. That night was no exception. I came away from the concert as inspired as I had been the night I drove home from their STRANGE BEHAVIOUR tour back in the late 80’s. The title track touched a responsive chord in my soul and with this CD as my soundtrack, I attacked SOVRAN’S PAWN with an optimism I hadn’t expected to find. One track on my playlist kept returning to haunt me ~ LEAVE A LIGHT ON. The song captured for me the very essence of theme of the book as well as the relationship between Bo and Blade; and I played the hell out of it. Before I knew it, my novella became a full-length novel and I completed it in record time. 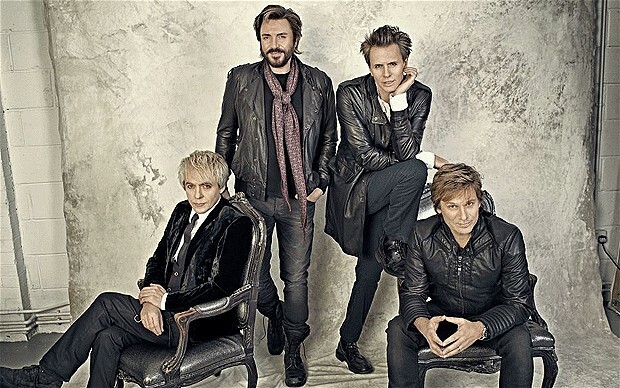 ALL YOU NEED IS NOW started out without a record label as a labor of love and a leap of faith by Duran Duran. I’d followed their progress on social media and was impressed with the grassroots way they rallied their fan base. By the time the tracks hit iTunes in December 2010, they had generated enough buzz to warrant a CD release, a music video and now a concert tour they’ve been on for more than a year. Inspired by their faith in their own project, and the fact they recorded, released and now support it on their own terms, I decided not to submit SOVRAN’S PAWN to a publisher who wouldn’t have as much at stake, nor be as emotionally invested in the project as I would be. I followed the example Duran Duran set and I’ve published independently, on my own terms. I’m not sure I would have had the courage to do so without witnessing the painstaking progress of ALL YOU NEED IS NOW. I didn’t set out to link my book to this CD, or to Duran Duran. It just happened that way. I’m so very glad it did. The proof copy arrived today! COOL! I wish, though, that you’d posted this at The Meet and Greet at West of Mars, as part of my Featured New Book release; it totally fits what that feature is about. Want to cross-post it? Sure! I was kinda hoping you’d say that! Can’t go wrong with the best bands. No you can’t. 🙂 Now I need to figure out my soundtrack for the next one! I like to listen to soundtracks when I write. It’s good background music and can set the tone without being intrusive. I get too distracted by sung words while hammering out sentences. I also make play lists for specific projects. I too, am glad that I’m not alone in doing this sort of thing. My pleasure, Michael! The more I ask around the more I find that other writers draw as much inspiration from music as I do.